Currently the euro micro futures is trading above the point of origin. I would view this as bullish, especially since it has retested multiple inflection points for support. However, it appears that some older, and heavier resistance may be putting some pressure on the current run up. As you can see on the arrow, buyers came in heavy at the highs, but declined. It is typical for reversals to occur at levels of prior low volume. (See vertical bars to left). The Euro is very wild and tests many ranges, it does not trade smooth like some stocks, so we are expecting euro to test some of the prior v bottom order-block levels before the possibility of tagging the higher up point of origin zones (not shown). While in hindsight it is nice to view these inflection points, trading them in real-time is another story. Be sure to time your trades accordingly so you don't have to risk much if you are wrong. The good part is once the trend takes off you have targets and can watch the trade as it smashes through them. In other news, I exited my long pound trade a little late (it gave me some green but backed off low liquidity). Me being the loyal trend trader I am held it until it came below the main swing low. However, my loss was small so on to the next one. It is well known that Block-Trades can take up available liquidity in the market in one shot, causing price to up/down tick. But what is the association between the two? If we know that block-trades are correlated to a subsequent price movement, then can we use the value of one variable to predict the other? 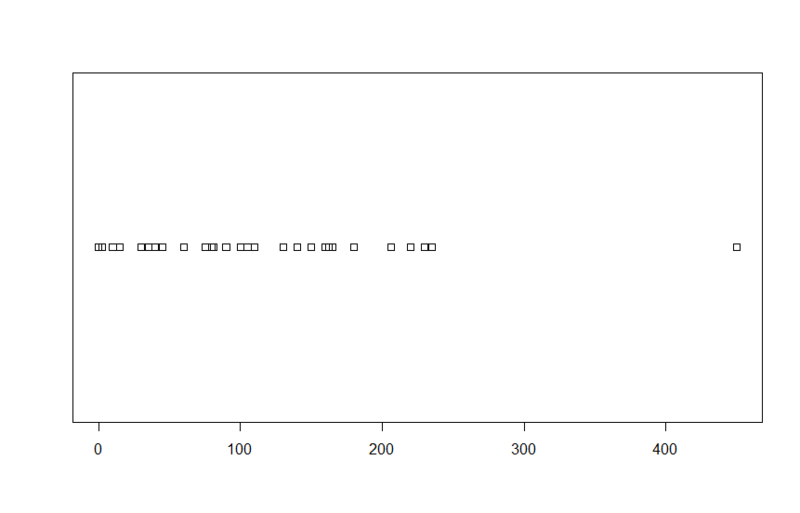 First let's take a look at what's involved with finding the predictive properties of this formula. These variable I suspect all come into play when considering a Block-Trade and it's effect on subsequent price movement. As I dig further into the research I will keep you updated, but the key here is that if a relationship exists, knowing the value of one variable, predicts the value of the other, meaning that in theory we should be able to predict how far, and how fast we can expect price to go after Block-Trade is entered. This can help with entering both stop-loss and take-profits dynamically based on the correlations of the variables. I plan to find the correlation between block-size and price change over various time-periods as well. More coming soon, see you in the live stream. How would you feel if you knew you could make a great living with swing trading? Would you hold your head up a little higher knowing that you finally mastered the markets? I’ll tell you right now, there’s a massive relief you’ll get when you finally learn to read the markets secret language. It’s like being able to read the mind of your opponent, at all times. In cryptography (secret writing) the original message is called the plain text while the encrypted message is the cypher text. When you look at a price chart without the key, you’re actually looking at the encrypted version of the story being told. In order to understand the true intention of the message, you must first learn how to decrypt the cypher. The hidden message is hard to see, that's why PHD Quants are paid hundreds of thousands per year to crack the code for hedge funds. The key to the markets is only available to those for which the information is intended, or for those that know where to look. This key allows you to unlock the code, without it you are left guessing as to what the real message is. In 60 BC, Caesar used a simple method for encrypting messages of military significance by simply shifting forward 3 letters to the current cypher letter in order to reveal the plain text letter to be substituted. It was a simple encryption designed to at least delay the message from being read for a short while, until the information was not useful anymore; this is called the time period. 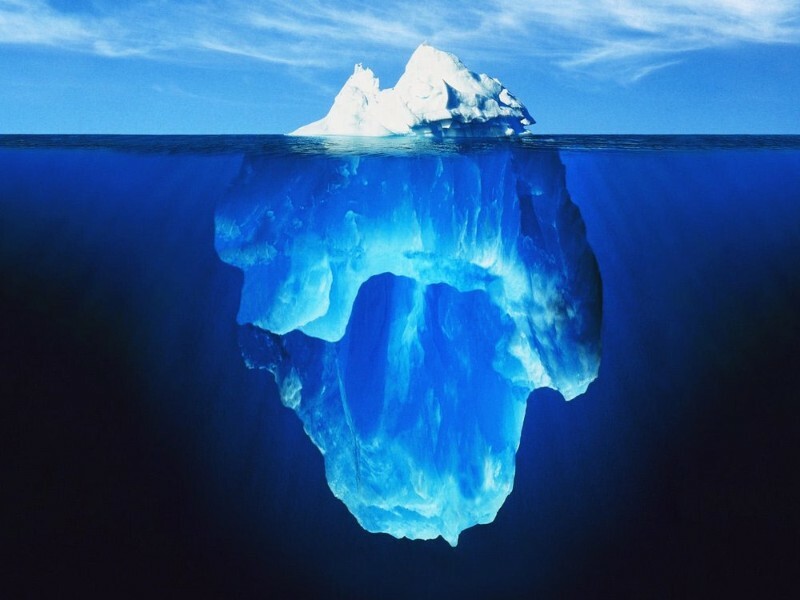 In trading, large commercial traders utilize what we call Iceberg Orders to hide their intention to fill extremely large customer orders. If you knew the banks wanted to buy SP Futures like they were going out of style you could simply jump on board and ride the wave. Wouldn’t that be nice, we’d all be filthy rich in a matter of days; me and a bunch of other traders I know would be sailing yachts and sipping martinis on the beach all day long. The problem is that when you buy, it raises the price that they will get filled at, putting them at a disadvantage; so no, you don't get a free ride on there orders-- unless you know where to look. So here's what I know, the bank traders utilize a method of encryption to fill these large electronic orders with the utmost secrecy. They utilize an advanced computer algorithm to encrypt their orders to hide their size, it’s like being able to hide behind a magic cloak; what did you think quants did all day? If we could only uncover their intention to buy or sell such large quantities we could ride on the back of such giants for a long time to come while sailing the warm oceans of the Caribbean without a care in the world. In order to uncover when the big traders are buying, we need the key to unlock the encryption. What if I told you such a key to unlocking the intention of markets was available to you as a retail trader? You’d have the same absolute certainty, belief and expectation of success that I have when coming to the markets to swing trade. But before I tell you how I figured out how to do this I want to ask you some serious mindset questions. What’s your real reason for wanting to become proficient at trading? Your WHY is going to determine how much time and effort you put into achieving your desired outcome. Even if I give you the tools for unlocking the markets I can’t guarantee you will have success unless you have a strong reason for wanting to do the work involved. The market will push hard to test your resolve and unless you have a strong belief in your system and in yourself, you will have doubt, and doubt will get you killed in this game. Great, now here are just some of the advantages you’ll receive as you put aside your limiting beliefs about what it means to be a consistent Trader. 1. A Trader with a proper trading system reduces emotional risk due to both internal and external influences. 2. Trading appropriate size with no stops increases you chances of success. 3. 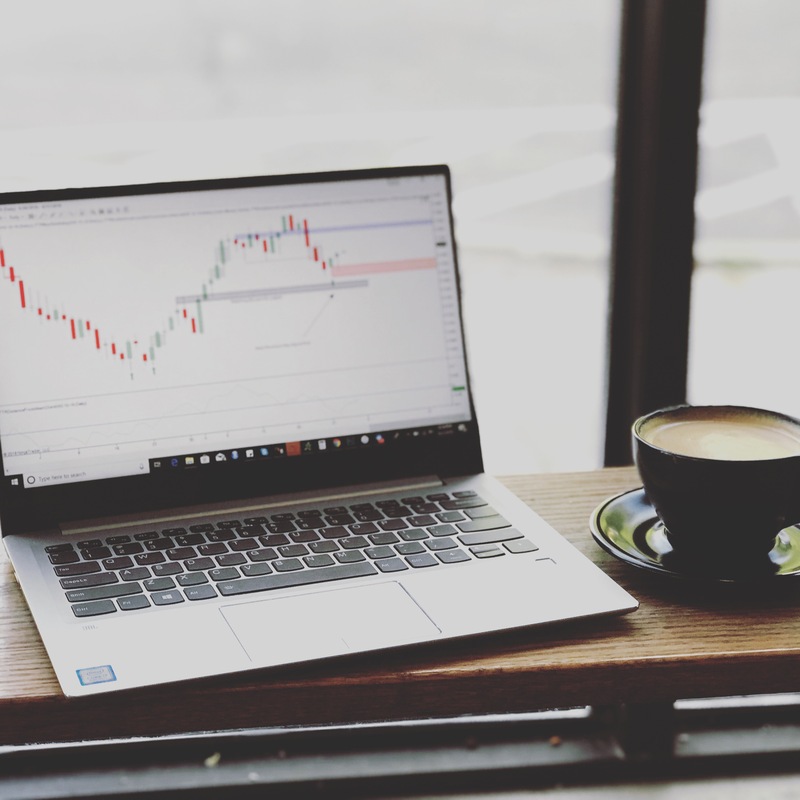 A Systematic Trader takes total control of their lifestyle design and personal finances by employing a robust strategy that produces repeatable long-term results. Sound good so far? Great! But what you do with that success is entirely up to you; that is where your strong WHY comes in. Having all the freedom and money is not the strongest motivator for most – it’s how it can effect your lifestyle and relationships in a positive way. Being able to help yourself allows you to be there for others and to make a difference in the world through your efforts. This big picture advantage outside of your own personal gain should be motivation enough to push you through the hardest of times the market may throw at you. So, what’s such an advantage worth to you? How much would you pay today to have that ability for a lifetime? For me, I’m all about doing the hard work now and reaping the rewards that come later with time, like aging a good bottle of wine. That's where my tools and algorithms come in to assist me in decrypting the secret language of the markets. You might be wondering why I maintain such high levels of conviction, belief and absolute certainty when it comes to succeeding in trading, where most others fail. The Secret To My Absolute Certainty Is. . .
…the genuine belief that you EXPECT TO WIN through diligent preparation, organization and skill! We DO NOT just show up and hope for the best, that is simply irresponsible! To decrypt the markets secret language, and exploit the inefficiencies we employ a scientific and deliberate process much more complicated than just showing up with no strategy, plan or quantified system. The first mistake traders make is that they put too much emphasis on actual price charts and not on what creates the price charts. They are not understanding the reason the Daily bars are created they way they are. 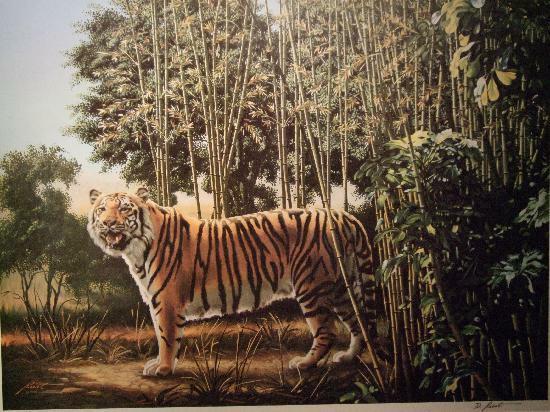 Try to find "the hidden tiger" in the picture, once you find it you cannot un-see it. Can’t find it? That’s OK, because it’s an analogy for your trading; you’ve been looking at the market this way for so long you can’t see what’s right in front of your face – your subconscious mind is programmed to look for the wrong thing. Continue reading until the end and I’ll give you a hint along the way. My point here is that most traders only see the price chart, and not what is hidden within the price chart. You see, price charts are built by volume, that means volume precedes price. The problem is that the incoming volume comes in so fast we as humans have no chance at absorbing and decrypting the markets intention, until it is too late. And that is how the biggest Bank Traders want it to be. We as mere human beings can only see about 30 frames per second, forget about processing the enormous amounts of data that fast, it’s nearly impossible. But, by utilizing a reliable system for reading the lighting fast volume data with a computer algorithm, you'll be able to continually decipher their intention, every time. 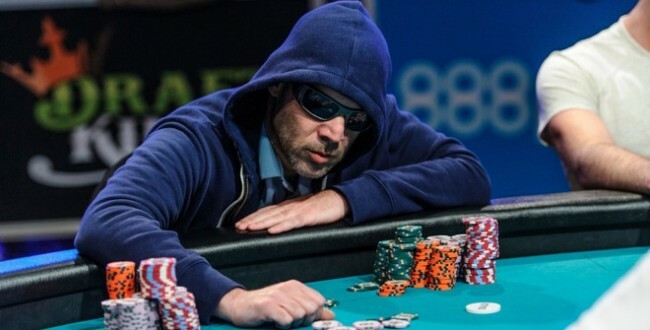 In Poker, there is something called a Tell, this tips the other players off that you may be bluffing, or are onto something big! Sounds great, but if you’ve been at the table for 30 minutes and don’t know who the patsy is, the patsy is you! As a valued reader I don’t want you to be the fool on the other side of the table providing liquidity to other market participants which may have laughed their way to the bank on your dollar for the past several years. In order to succeed you’ll need the key to unlock the code as well as the tools to process the mass amount of data. By employing a proven strategy which has been tested over mass amounts of data you can rest assured your strategy will continue to work diligently to your advantage regardless of market conditions. Think like an astute professional Poker player, you want to allow the rules of probabilities to work themselves out over time. An systematic based trading system to maintain absolute certainty and belief in your trading ability. This is needed because we must trust the process and execute a given trade plan with robotic discipline, never wavering from the rules set forth. This adds a level of consistency that gives the trader the added confidence to be able to not only sleep well at night, but to have peace of mind knowing their account is in good hands going forward. If you haven’t figured out where the hidden tiger is I gave you a hint that it was within the price chart. Just how a tiger cannot be a tiger without its stripes, a price chart cannot be a price chart without volume. The word “The Hidden Tiger” is written in the stripes of the tiger, check for yourself. This is the same exact problem you are having with understanding how to read a chart. You are looking at the bars themselves but not seeing what is hidden within them which is the true hidden secret language of the market. While the code used to decrypt the market may seem to be a secret, I am offering you the opportunity to begin working with me and to receive the same knowledge I have discovered through years of self discovery and market analysis. If you've finished the Free Swing Trading Course I highly recommend signing up for Swing Trade Accelerator 1.0 This course goes in-depth on Swing Trading and teaches you secrets I guarantee you've never heard of before. In fact, if you take the course and didn't lean something new that you can use for your trading I'll give you a refund, no questions asked. When I first heard about it I thought it was utter nonsense; all that mattered in trading was being in the right place at the right time, right? Well over the years I've found that mindset is just as important as picking the right trade, this will help you smash through your hidden mental blocks which you might not even be aware of. When you trade for a living, your mind is the one variable that determines your success. To train the mind you want to ask it questions, because questions drive focus, and focus is a pre-cursor to elite success. So let me ask you, what does a successful trading system actually look like? How do you know if the system or method will perform well over time, given enough occurrences? 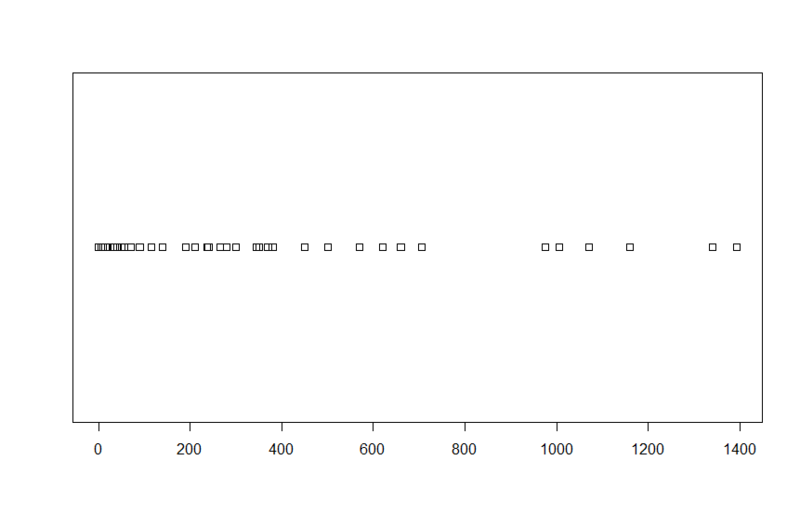 What behavior is required to produce a positive slope in the equity curve, with minimal variance? These are the questions I ask myself on a regular basis, because my main concern with trading for a living is being consistent with my results. The last thing I want is to have it all at my fingertips, only to have it taken away by a series of losing trades. That is why I stress the importance of actively controlling risk and minimizing exposure to large intra-trade losses. There is a popular (bad) method out there where you risk a large percentage of your account in order to increase the percentage of profitability. This looks good on paper and feels good in real life when you see 99% profitability. Your new guru is your hero, until the 14 day refund period runs up, and your account explodes. Your guru is now nowhere to be found and your investment has vanished. The problem with high risk strategies like this is that you're risking a large percentage of your account to produce those results, and one loss will spike your PnL graph to the downside. Weeks, or even Months of gains are down the drain and you are back to square one. A person goes to school, becomes a successful employee or business owner and decides to manager their own retirement or savings account. They proclaim themselves to be a trader and goes on to buy a dozen monitors, new computers and memberships to every trade room and news channel on the internet. He spends countless hours learning about everything there is to know but has been losing money for the past x years. He is questioning if trading for a living is even possible. He is perhaps also considering giving up altogether, but based on his past experience in business or fighting for career promotion he knows that is NOT an option! The same drive that made them successful in their previous education, or line of work has had zero affect on their trading success, and it will drive them to bankruptcy just as fast the more they believe it. Believe it or not, this is a very common scenario that plays out and I get emails ALL THE TIME from guys like that. I have seen the most dedicated professionals give the same certainty of success and resources used in starting a multi million dollar corporation into their own personal trading accounts, only to walk away years later dazed and confused as to how it just didn't work out for them. A lot of it has to do with mindset, and expectations. When your blueprint doesn't match your reality you perceive failure. The main problem is that they have this idea that when they become a trader the money will be pouring in by the boatloads. However, they're not seeing the fact that 90% of traders lose it all within 3 months.The ego is saying, yea sure no problem; I am a success at anything I do and I will be in the top 10 percent. The problem is they are fighting for as much profit as possible, just like the other 90%, because the expectation of what is right in trading is backwards. Let me explain, most traders aren't happy with 30% per year return, because with high leverage they see 30% returns in a week - so they figure they can just stay consistent and make 30% a month on their money. The problem is that's what the other 90% is thinking as well. This is where it gets ugly and +30% this week on your account turns into -90% the next. So I'm not denying your trading prowess, but I want you to consider checking if your expectations of success as a trader is even remotely possible. 1. If 2018 was a losing year for you, begin trading SIM for the next 3-6 months. You will learn the agony of waiting hours for a good trade, only to know in the back of your head its a SIM trade and you could have made all that money if you hadn't taken my advice. Learn to get over this, quickly. you must learn to rid yourself of that fear of missing out (FOMO) that will only skew your decision making ability. 2. Stop trading for the money, trade for the challenge. My goal is to reverse engineer a positive slope in my equity curve with minimal variance, or volatility. Do this and it becomes a game and allows you to make more objective decisions. 3. Pick a strategy, system, or method, and stick with it. Jumping around with a new trading tool every other day is the worst thing you can do. Pick one, refine it and become an expert at it. You cannot create consistency if you are starting over with a new method so often. If you invest in yourself you will expand your horizons, new ideas for profitable strategies will come to you. You may even see the same old indicators from a new perspective. Know how much you need to start with to trade for a living. Calculate the margin and contract quantity for your strategy. Also consider the annualized return you are aiming for, is it realistic? 6. Don't quit your day job. Trading Futures with a day job is probably advantageous to most because it keeps you from being involved with the hype of over trading. I suggest swing trading by checking charts after work for daily bar opportunities. The good thing with Futures, unlike the stock market, is that Futures trade nearly 247 with minimal spread. 7. Don't use stops (yet). Always allow a trade to move against you once, but not twice. The price bar for the time frame you are trading should be allowed to probe for stops, but not close outside of your would be stop loss level. After the suckers have their stops taken out, and price goes in your intended direction, put the stop in. If it closes hard against you right away then take the loss immediately, as it is likely to continue. Be sure to include this added short-term risk in your capital allocation. Yes, become an obsessed freak about what you do.Pick one market you want to master and watch it like a hawk. Become an expert until you can recite from memory what the market did that day, at what time, and at what price. Meditation is great because it helps you become more self-aware of your thoughts and emotions. You'll be able to better stop yourself from entering (or exiting) a trade due to fear of missing out (FOMO), or greed for more. 10. Invest in your health, change your diet, change your habits, change your life. Are you disciplined enough to stop yourself from having something that's bad for you, even though it may make you feel good in the short term? Did you want to stick to a diet but somehow it just never happens? These bad habits will eventually bleed over into your trading. Learn to master yourself before you attempt to master the markets and I guarantee you will thank me later. Here's what consistency looks like. The majority of our Winners reach a profit of $300 per contract. Price behavior in the trade signals intended direction. Price behavior against the trade signals intended direction. Winners are about 3 times the size of the losers. This means that we can afford to be wrong a lot more often, yet still come out ahead, even after trading fees. If you understand this simple concept, and can apply it to your trading, you will see a big improvement right away. As we continue the surfer analogy in this post I'd like to make that point that in order to catch the big wave that surfers dream about you must first be in the water. The same goes for trading, as Swing Traders we are constantly in search of the one big trade, the trend that will continue for months on end and grow our account to unprecedented levels. With a well structured open trade management strategy in place, one that is dynamic and is virtually bullet proof against stop hunts, you can inevitably capture an entire trend from start to finish. But in order to catch the trend, we need to be on the charts, watching, waiting and looking out onto the horizon to see the swells that may build up into a tsunami of a wave. You also don't want to be that guy that has to bail early because he doesn't know what hes doing, or hasn't had enough practice to handle the stress of such high speed surf. In trading this is equivalent to the stress of quick intra-trade drawdown where the market pulls against you to flush out the weak hands. To help you with the process of identifying pre-cursors that lead to the development of trends, I recommend Swing Trade Accelerator 1.0 as well as Automated Trading with NinjaTrader to get you started. I show you exactly how to not only search for the mega trend, but also how to ride it until the end, without giving all your gains away on stop-flushes. In the automated trading course you'll learn exactly how to create systems that can be used to identify these trends automatically so you can know when they should be analysed for further consideration. PS If you're using Ninjatrader7 for your trading and want to skip the programming development processes, you can check out my systematic trading package here, think of it as a shortcut to becoming a systematic trader. As you may already know, studying the lives of successful people can create a shortcut to your own. By modeling what successful people do you invariable get a shortcut you can duplicate for yourself. The best surfers in the word don't just show up an hour before the event to prepare, they show up days before and study the ocean; yes that's right they watch how the waves form, they look for cycles, patterns and discover how the waves break. The waves of an ocean are cyclic, they are made of many smaller waves, when the smaller waves become synced they create one larger wave. By studying these waves in depth, and allowing your subconscious mind time to begin looking for patterns, you build up your intuitive gut feel for when the right wave might form. In trading it is no different, the market moves when the cycles of incoming capital are on the same wavelength. The chop and noise happen when the incoming capital on multiple time-frames are out of sync.